Is social innovation just another passing hype or is it here to stay? Although the term ‘social innovation’ has become quite mainstream or even ‘fashionable’ over recent years, it is not new; in fact, there has been a wide range of activities throughout history which can be considered as ‘social innovation’. However, since the concept did not emerge until the 1990s, it was neither recognised nor denominated as such. For instance, the cooperative movement can be seen as social innovation, and this existed well before the term itself entered use. So, is social innovation a hype? There are definitely moments in which concepts or terms become a hype and so ‘cool’ that everyone wants to be involved, in turn leading to an enormous increase in the use of the term, correctly or incorrectly. Putting the social innovation tag on whatever you do becomes a marketing or publicity thing, driven by a fear of being left out of the vanguard of early adopters. This is confirmed by the attention that social innovation attracts within the specialised press and mass media, which especially features the greatest, latest and coolest ideas from the brilliant and cool people that made them a reality. 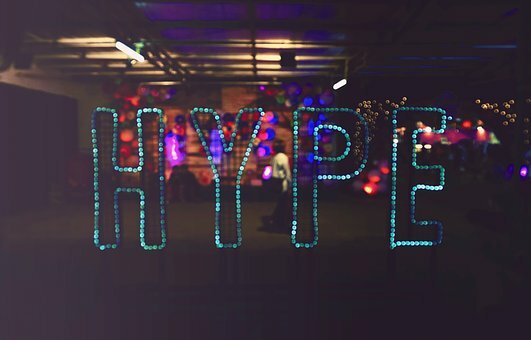 Adding to the hype is a perception that the social change and innovation set in motion needs to be big, with a significant impact, and for the social change to be felt by a large group of people. This is understandable since big success stories sell better than smaller-scale or incremental changes and impacts. But although they make for nice reading and sell, they are not normally the more local, focused and smaller-scale social innovation initiatives that are actually delivering real change for their communities and societies. Moreover, the big, highly proclaimed stories may even be found to have gone nowhere when revisited a couple of years later. In innovation, the most useful (and sustainable) innovations are incremental, and social innovation is not much different. The real, life-changing social innovations are those that have an actual impact on people’s quality of life and generate changes within their local community. Although the huge publicity received by the main names in social innovation can contribute to inspiring others to take action, it should not be forgotten that their initiatives or projects were neither huge nor global from the outset. Looking beyond the hype and buzz generated around social entrepreneurship and social innovation, one finds a genuine change in the way companies do business and the way society values organisations. As said, social innovation has been around for ages, but it was not until the 90s that the term was used in reference to a specific type of innovation. Social innovation is here to stay. The change in the way people see and value their communities and surroundings shows a clear tendency towards a more conscious behaviour and an awareness of the impact that one’s individual decisions and those as a group have on one’s environment and ecosystem. Respect for others and the environment is gaining more and more ground, and the social impact or consequences of the decisions taken are becoming an important factor in deciding what to buy, where to go or who to support. As such, the social impact that companies and organisations have are now part of tipping the balance in favour of one company/organisation or the other. This is changing the way in which they do business or operate forever. A good example of how social impact will become mainstream is related to waste management. While becoming a ‘green business’ was the thing some years ago and created marketing and publicity hype (in the same manner as we now see with social innovation, but more visible to the general public), today a company which is not properly managing its waste and reducing in whatever way possible the impact of its production and waste on the environment is viewed in a negative light. Those merely complying with existing rules and regulations can no longer get away with claiming that they are ‘green’. Instead, to do so, they need to go considerably further than meeting these minimum requirements. Going beyond has become part of various successful business models, and organisations and companies have grown thanks to fully embracing, in a genuine manner, the principles of environmental responsibility. Industry today does not conceive business without this type of consciousness. The Internet, social media and overall connectivity and access to information have made people more aware of the troubles and challenges others are facing, not only in their own community but all over the world, leading to a new consciousness and more social commitment. As such, one can expect that a similar situation will occur as with the example above, and that social impact and change will become part of the core business or activities of some but definitely a part of normal business operations for all. The number of social innovation initiatives will continue to grow and social impact and change will become an integral part of the businesses of the future. As such, social innovation is here to stay, even when the hype has passed and early adopters have moved on to yet another hype to help sell their products, services or ideas and be considered as the ‘cool’ early adopters. Do you want to go beyond the hype and deep-dive into social innovation? EOLAS and Limitless, together with 3 other partners, have recently started a project aimed at developing the first online Social Innovation Academy in Europe. The Social Innovation Academy will be the first fully online management training programme focusing exclusively on social innovation. Why Social Innovation Academy? Social innovation is increasingly perceived as the answer to the rising number of European societal challenges. While the European authorities, leading academics, policy experts, business people and activists agree that social innovation is the key to a better future for Europe and the world, it is extremely difficult for professionals to obtain high-quality training on what social innovation actually offers and, more importantly, how it can be done in practice. The Social Innovation Academy is aiming to change this situation in Europe and beyond. If you are interested in keeping up with this project, you can subscribe to our newsletter, become one of our friends or follow us on social media (LinkedIn, Twitter and Facebook). We welcome all requests for collaboration here.